At AAA Heating & Cooling, we offer duct cleaning and maintenance services for commercial HVAC units in the Portland and Vancouver metro area. This includes routine duct cleaning or maintenance checks of the ductwork at your business. In addition, we can offer our expertise in regard to installing new commercial air ducts for your space. There’s nothing worse than a commercial HVAC system failing to do its job when you’re trying to operate a business. While this could be caused by several different malfunctions, air ducts could be the root of the problem. The following common duct issues could be interfering with your airflow. If your commercial HVAC unit is not working efficiently or you suspect any of the above issues, it’s a good idea to call an expert for a maintenance check and duct cleaning. At AAA Heating & Cooling, we offer fine-tuned duct cleaning services based on science and efficiency. We have multiple certified air systems cleaning specialists (ASCS) on staff and indoor air quality professionals certified by the Association of Energy Engineers. Our expert air quality team has over 75 combined years of HVAC and indoor air quality experience. Properly installed air ducts should work to generate sufficient airflow for a long time. It’s important to get them cleaned regularly to prevent obstructed airflow and poor air quality. Our commercial HVAC division is Oregon’s premier duct remediation resource. At AAA Heating & Cooling, we have experience cleaning commercial ducts in a wide variety of businesses including schools, medical facilities, restaurants, hotels, shopping centers, and public buildings. We have the knowledge and experience to get any commercial or industrial duct cleaning job done. Our duct cleaning technicians continually improve their expertise and update their safety training per the NADCA (National Air Duct Cleaners Association) standards. AAA Heating & Cooling takes pride in our air quality and respiratory program as well as our adherence to safety mandates set in place by OSHA. We understand time is valuable when running a business. The team at AAA Heating & Cooling can accommodate your schedule for commercial duct cleaning in order to diminish any interruptions to business operations. 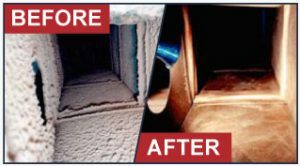 Clean air ducts will remove contaminants from the air, improve airflow and efficiency of your HVAC system, and reduce the risk of fires. If you’re experiencing climate control or air quality issues in your Portland, Lake Oswego, Beaverton, Hillsboro, or Vancouver area commercial space, give us a call at (503) 284-2173 or schedule an appointment online.